It was 6 or 7 days into my trip to France last month when I first saw the link to a GoFundMe campaign on behalf of Jon Rowley, telling his huge circle of friends and colleagues that he was facing a serious illness. Sitting there in Dijon, immediately my mind went to Paris. And oysters. I was disappointed to be so far away and unable to hop over to Vashon Island to pay Jon a visit. 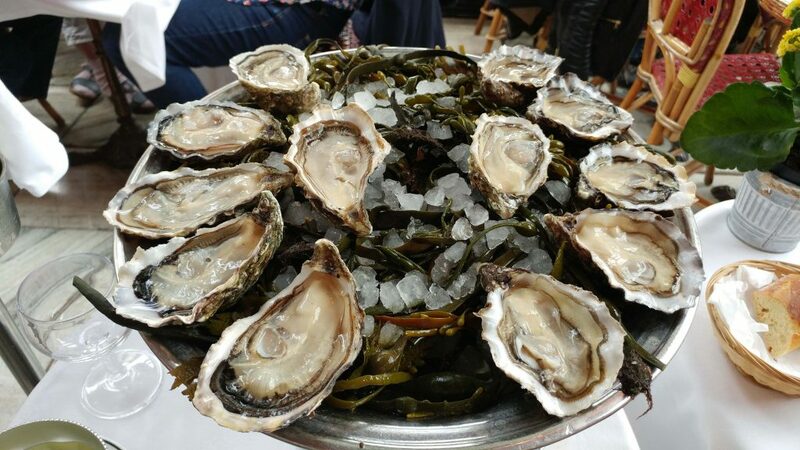 On the plus side, I was going to be back in Paris the following week and could make what was, to me, one of the most fitting long-distance tributes to Jon: heading to Le Dôme in Montparnasse for an oyster experience. A few years ago I spent a month in Paris. I’d left for France the day after judging the finalists for the Pacific Coast Oyster Wine Competition, so I had that echo of briny-oysterness and its perfect mineral-flinty wine companion still on my palate. And echoing in my ear was the passage from Ernest Hemingway’s A Moveable Feast that Jon recites to us judges before the first oyster is slurped at the competition each year. With those inspirations, a Paris oyster-odyssey was definitely in the cards for that trip. We had a string of emails back and forth, sharing photos and memories and favorite spots in that most glorious city, Paris. I’ve reread them this week, since Jon’s passing, and realize what a beautiful touch-point they will be in the months to come. Conversations with Jon that capture his passions, inspirations, joys and great memories. And that’s just those from that couple of weeks! When I got back to Paris last month, I planned an early afternoon visit to Le Dôme with a friend along to help with the slurping. Feeling the pinch of a couple weeks’ spending, I did not indulge in those very dear Cancales, instead ordering six Spéciale nº 3 and six Tsarskayas. Plus a half bottle of Muscadet, among those perfectly classic wine pairings for oysters. 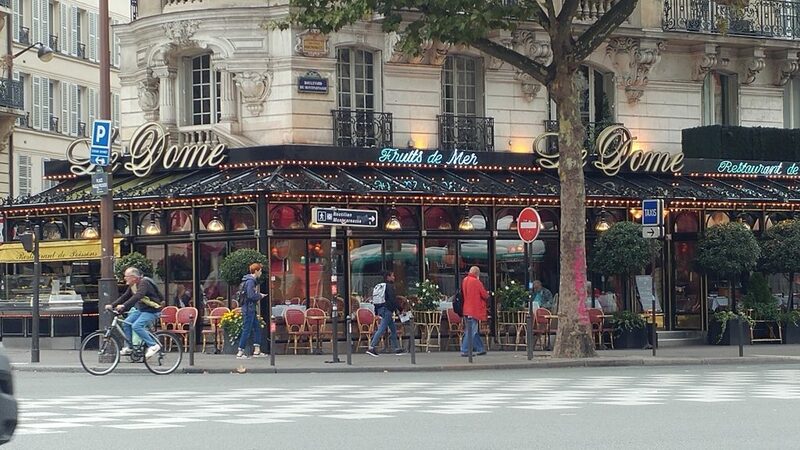 The table was set, there on the terrasse on the Boulevard Montparnasse, watching the Parisian world go by. We lingered for a few hours, sipping, slurping, visiting — and me telling stories of the one and only Jon Rowley, toasting him long-distance that afternoon. Jon’s influence was outsized, his drive to find and share seasonal foods at their peak of perfection unrivaled. Friends and fans mention peaches and wild mushrooms, salmon and pears, garden tomatoes and anything else that Jon championed for providing a bliss factor for the eater. But for me, Jon will always be the oyster master. And while his home turf was certainly the Pacific Northwest, I love the melded memories Jon and I share on that terrasse at Le Dôme (oh, if only we’d had occasion to slurp oysters there together!). I was home a few days after that Jon-tribute platter was finished, the next morning rang him up for a chat. Fifteen minutes perhaps, I could tell he was tired but it meant the world to at least talk with him. And to hear the serenity in his voice, his affirmation of having lived a good life. A few days later he’d be gone. So I was not lucky enough to see Jon one last time. 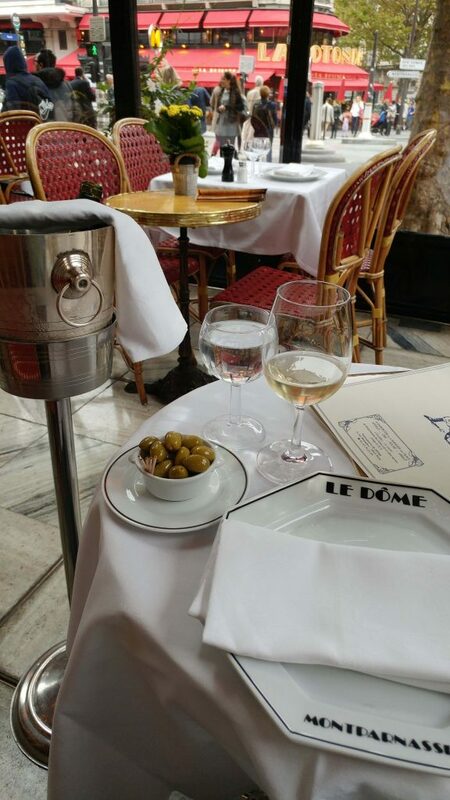 But I loved hearing the joy conveyed in that last conversation, telling me of that platter of a dozen expensive Cancales he’d had at Le Dôme, and how he ordered another platter regardless of the price. Because the best [fill-in-the-blank] eating experience is always worth it. Worth the money. Worth the wait. Worth the work to harvest or grow. Worth the extra effort to process/handle/ship with care. Good food is always worth all that. Thanks for every bite of deliciousness you’ve shared with us Jon. And for what you taught us along the way.